In his latest Installation and update of his famed Social Media Revolution video, Erik Qualman once again creates another fantastic video highlighting some key statistics. Erik reminds us that the four p’s of marketing (product, place, price, promotion) are disappearing while the four c’s of digital are emerging: creating, curating, connecting, and culture. As we plan our 2015 marketing campaigns it’s important to blend social media with a strong content marketing plan to maximize and captivate our audience. 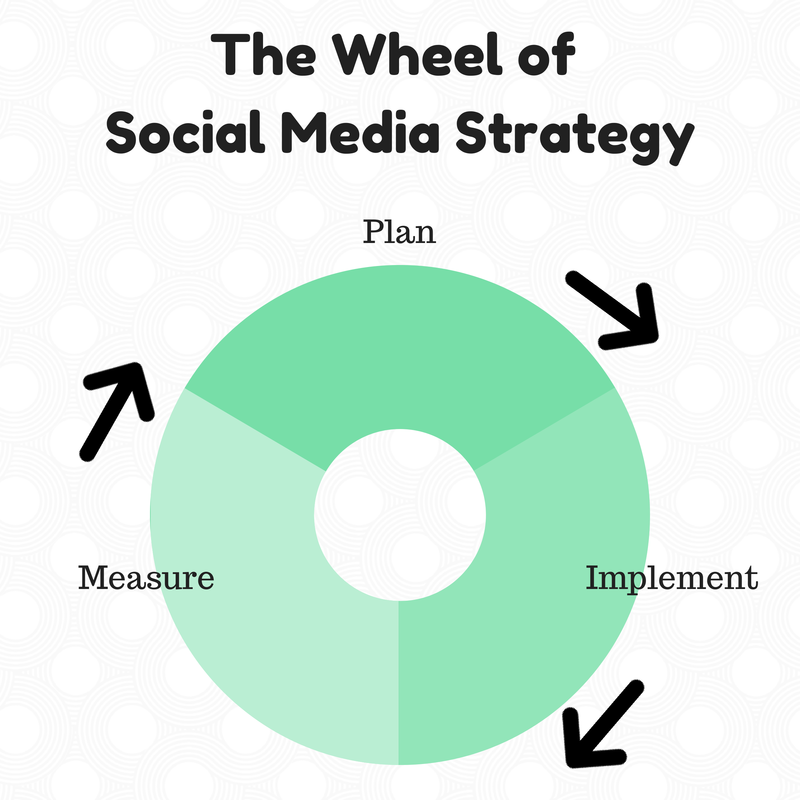 A social media strategy and a social media plan have a lot in common. A strategy is where you’re heading, and an effective social media plan should lay out how you’ll get there. When you’re coming up with a strategy it’s important to focus on business objectives, the platforms you’ll be using, and most importantly the below wheel of a crucial three- part idea. Once you come up with your strategy, you’ll need to implement it, and measure it, and think about it ongoing to always adjust and ensure it’s working. The below wheel is the most effective illustration i’ve seen to reinforce this idea. I would love to know your thoughts, and how this wheel fits into your experiences building an ongoing social media strategy. Send me a Tweet @MarissaPick, or leave a comment below.